Since starting the practice of law in 2007, L. Nichole Hunter has obtained significant legal experience within the diverse areas of law practiced by ALG. Initially her practice has been focused in the areas of education and public administration. She has served in the capacity of Acting General Counsel for the Pontiac School District, Board Counsel to the Catherine Ferguson Academy for Young Women, Nexus Academy, Ecorse Public Schools and Detroit Public Schools. In her various Board Counsel roles, she has drafted board policies, drafted various legal opinions on complex educational issues, and negotiated food service, vendor, lease and professional service agreements. 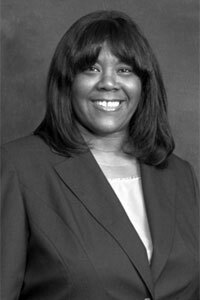 In addition she has worked with Southfield Public Schools and the Wayne County Community College District. In 2012, Nichole assisted in the creation of the Institute for Population Health, a nonprofit corporation which assumed the public health services of the City of Detroit’s Health and Wellness Promotion. Her practice has also expanded into the areas of real estate commercial transactions. More specifically, she has prepared construction contracts for various school capital improvement projects, negotiated the terms of a community development property purchase, worked on resolving title defects in order to effectuate the sale of commercial property, represented a nonprofit entity in its protest of property tax exemption designation, amongst an enumerated list of other property related matters. Further, she is a certified Mediator and has routinely provided services to the Wayne Mediation Center, Community Legal Resources and other non-profit organizations. In 2011, Nichole was also the recipient of The Barristers President’s Award presented by the Detroit Metropolitan Bar Association Barristers. This award recognizes a young attorney whose early career exhibited high standards of service to the profession, his or her clients, and the public. Further in 2013, she was accepted into the Detroit Regional Chamber’s Leadership Detroit Class XXXV which recognizes emerging and existing community leaders to address key issues that affect the Michigan region. University of Detroit Mercy School of Law, J.D.